I was happy to lend Nathan my Thync. I knew he’d get to the bottom of what exactly was going on. Especially in the context of exploring TES, pulsed wave forms and some of the older technologies I’d recently been made aware of in my interview with Anna Wexler, I knew the Thync device would represent the state of the art. Jamie Tyler had arranged for me to have one, most likely in my capacity as a blogger and reporter of all things related to neurostimulation. I myself did not experience any significant effects using the Thync though I did find myself using it frequently – mostly the Calm vibe. Was there some effect lying just below consciousness that my body was reacting to? Certainly nothing like the experience Manoush Zomorodi had trying Thync for her podcast episode Forget Edibles: Getting High on Wearables (really a must hear). [Update 9/3] Because the tweets just keep on tweeting! We performed this study in August/September 2014, which was before the V2 headset or software were available or even announced. In this study, we tested whether the commercial transcranial direct current stimulation (tDCS) headset foc.us improves cognitive performance, as advertised in the media. 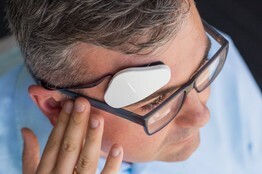 Reuning: The company that sells this device, thus claiming that it improves working memory. Is that correct? Steenbergen: Well, at least for the new version of the device they advertise on their website. The version we tested is intended to improve performance in computer games, according to the manufacturer. …Of the medical equipment we know that they are safe. We know which regulations need to be followed if one wants to use them. But for the non-prescription devices there are no such provisions. And yes, totally agree that all sorts of claims are being made. It’s a challenge to parse out good science, especially now that VC and DARPA money are coming into brain stimulation. Not to mention claims made by manufacturers of devices. But all that keeps it interesting and fun actually. 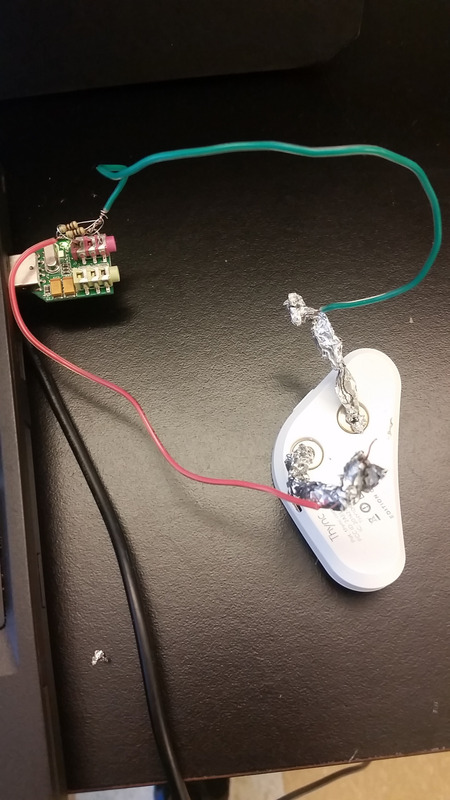 I would have been completely okay with this just being another bad tDCS study if it wasn’t so blatant a hatchet job on foc.us and the diy community in general. For the record – the original foc.us gamer was tested and CE certified by an independent UK based Notified Body to standards EN60601-1:2006 and EN60601-2-10:2000. It was the first CE certified consumer tDCS device. As far as we are aware, foc.us remains the only CE certified consumer tDCS device available today. We welcome researchers who want to test our claims, especially independent 3rd parties who do it without telling us. But we find ourselves disagreeing with the facts presented and thus conclusions of this report. Of course in the context of there only being one Focus device at the time, their use of the term ‘device’ would imply the entire contents of the box they received. There were no v2 headsets at the time they conducted the research. It’s my awareness of subsequent product developments that confused my initial impression. That plus the fact that the media are denigrating Focus for a product that doesn’t exist based on research that happened over a year ago. 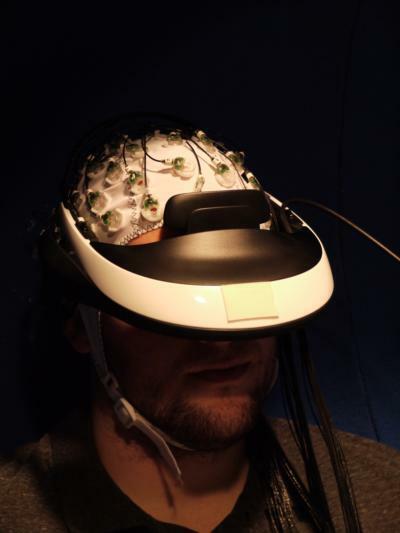 Confused about this study… They tested the Foc.us v1 headset with the Foc.us v2 software. Then declare the device “…cannot be regarded as an alternative to CE-certified tDCS devices, the use of which has been demonstrated to be successful in promoting WM.” But the v1 headset has been controversial since Foc.us first released it! And having v2 of the app/software would imply that they made the choice not to use the newer headset (which follows a more common montage protocol). Anyway… it got published, and we’re talking about it and the buzz gremlins put their spin on it and spread it hither and yon. In the current study, psychologists from the Netherlands worked with 24 healthy participants, attaching tDCS electrodes to their foreheads as recommended for stimulating the cortex. They used a commercial tDCS headset called “foc. us” that offers gamified and non-gamified stimulation and claims it can increase athletic endurance in addition to cognition. Participants visited the laboratory two times and were each given — unbeknownst to them — both a real stimulation session and a placebo-like service. Australian tv show explores tDCS in the treatment of depression. The device did seem to work on some level. For 15 minutes, I experienced a light pressure on the side of my forehead while the electrodes delivered pulses. Toward the end of the session and for about an hour afterward, my brain was definitely down a notch. However, I wouldn’t describe the feeling as zen so much as vaguely stoned. This is apparently not unusual, as one of the company’s publicity reps, Mark de la Vina, told me that it makes a small percentage of users feel high. I felt a pleasant, light floatiness and noticed myself typing and speaking more slowly. The sensation was something I could definitely get used to — although I won’t be swapping out my meditation practice for a vibe session anytime soon. The bottom line? Early adopters are essentially part of an experiment. Casual users might replace the evening cocktail with an occasional zap, but until more research is done, you’d be wise to think twice before replacing your morning coffee with a jolt to the head. 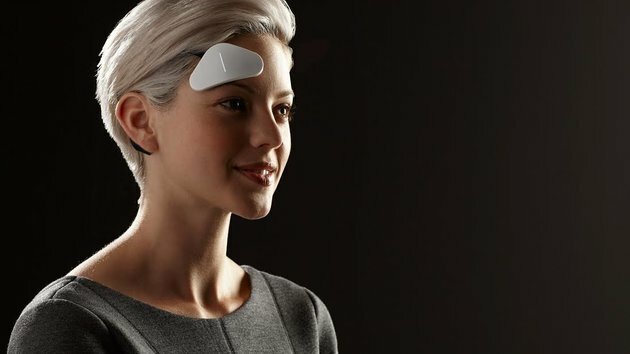 Source: This Device Can Zap Your Brain Into A State Of Zen. Is That A Good Thing? Just because it’s come up quite a bit lately on the tDCS subReddit , I thought to re-publish this link to a talk Jamie Tyler gave just prior to the release of their device, where he explains his understanding of what’s going on, as well as their intentions. Jamie’s intro starts at 45:46. He begins his explanation of how Thync’s device works at 52:46. Hank Greely, JD, Director of the Center for Law and the Biosciences at Stanford Law School. Alvaro Pascual-Leone, MD PhD, Director of the Berenson-Allen Center for Noninvasive Brain Stimulation at Beth Israel Deaconess Medical Center. Jamie Tyler, PhD, the CSO at Thync, a company that manufactures noninvasive brain stimulation technologies for a consumer market. According to Dr. Tyler, the “calm vibe” at its peak produces a relaxation greater than that provided by three Benadryls, according to a common statistical measure for effect size. The “energy vibe” is said to be stronger than that produced by a 20-ounce can of Red Bull. Each mood lasts for about 45 minutes without a subsequent crash, Thync says. But some experts are skeptical, insisting that the company show evidence of peer-reviewed, independently replicated results. Very well-written and detailed article on the upcoming Thync device. Links to full article below. I set the vibe level to 60, and felt a slight pressure on my forehead as the vibe commenced. It wasn’t painful but I did note an almost immediate change as the calming electrical signals began to enter my brain. This wasn’t a placebo and it wasn’t suggestion: it was real. Naturally, I thought about the hike back to my car and the exodus from Boston before rush hour commenced. Already the apprehension that previously seemed to be looming was a mere thought, nothing more. Just a few moments after starting the demo I felt a steady flow of relaxation coursing through my body. It was a bit like tubing down a lazy river at a water park; pleasant and entertaining, yet not too intense. I continued to take notes on my reactions as Sumon worked on his computer. It was like a comfortable visit with a colleague I’d known for a while. “You may feel some euphoria,” Sumon stated. I agreed; the experience was like the buzz of a couple of beers, minus the “belly glow” that goes with it. I raised the intensity level to 62, then 64 and finally 68. I noticed when I increased the threshold I felt a slight twist of pressure in my temple as the sensor responded, but it wasn’t uncomfortable or distracting. However, 68 represented a euphoric flow a bit higher than I seemed to need, so I dialed back down to 62. I reflected on my upcoming drive home and felt nothing other than confidence. The car would be fine where I had parked it and the drive would be okay too. Even if things got sticky, I had the radio to listen to and no particular demands on my schedule for the evening. There were far worse things than sitting in Boston traffic, I reflected absently. via Tapping into the power of Thync – TechRepublic. Q: How are Thync Vibes tested? A: Thync Vibes are the culmination of testing and developing of our technology on thousands of people in more than 150 studies we have conducted. When evaluating our Vibes, we monitor biometric signals, psychophysiological variables, and conduct psychometric evaluations. For example, we capture, record, and analyze data such as heart rate, heart rate variability, galvanic skin response, pupil diameter, and EEG to quantify how Vibes influence both the parasympathetic and sympathetic nervous system. Our studies also consider the placebo effect by incorporating sham groups in blind tests to assess the effectiveness of a particular stimulus protocols. We use sham protocols that mimic the skin sensations of Vibes and give users the same control interface in our app, but they are designed to be non-functional in increasing energy or enhancing calmness. Our standards for developing reliable and significant Vibe effects are always defined by comparison to sham studies. 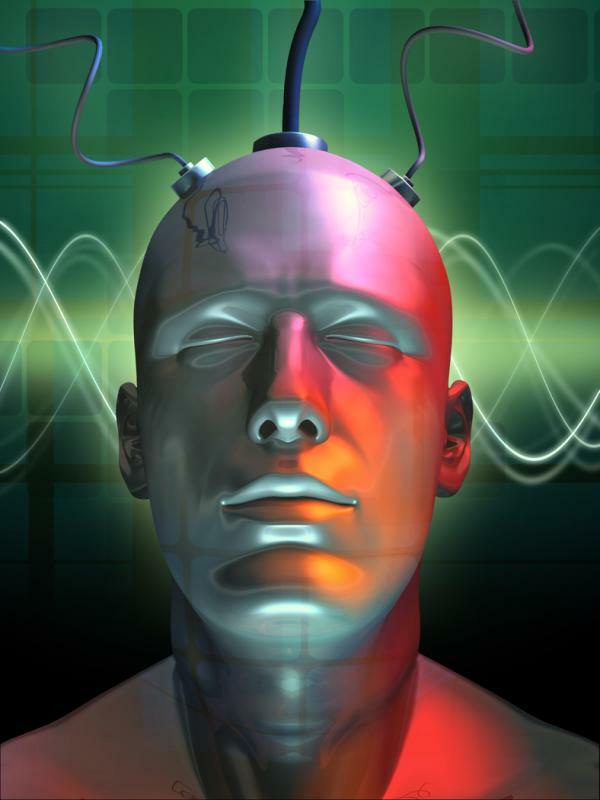 Q: Does the Thync device produce long-term changes in brain function or neuroplasticity? A: Thync scientists have investigated long-term effects with both in-house and sponsored academic research studies and have not identified any maladaptive long-term effects. Q: Are you planning to add additional Vibes? A: We are planning to expand our Vibes in the future. Stay tuned. via You Asked, We Answered: Thync Frequently Asked Questions. Somewhere in the course of running down the Rabbit Hole this morning, I found myself thinking, ‘Wait, this feels familiar.’ Then I remembered where I’d seen Jamie Tyler recently- on the About page for Thync! He’s the CSO and Founder! Exciting to think about what may evolve from Thync based on the links below. We do know that Thync’s first product, now in Alpha will be tDCS based. Are you ready for Digital Heroin? You can deep dive into Jamie’s work from the Thync Scientific Publications page. The work has inspired Stuart Hameroff to test the technique on himself. An anaesthesiologist and consciousness researcher at the University of Arizona Health Sciences Center in Tucson, Hameroff first suggested to a colleague that they try the therapy to treat chronic pain. The colleague agreed, on one condition. “He looked at me and said, ‘you have a nice shaped head, why don’t we try it on you’,” says Hameroff.